The writer isn’t a ‘true foodie’, that is, she eats to live rather than lives to eat. 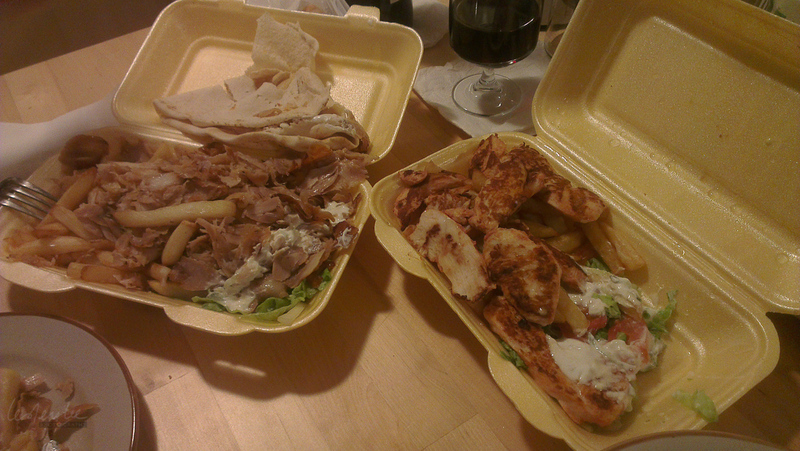 However, she is willing to try new foods and looks for food that will sustain, is reasonably priced and tastes good. 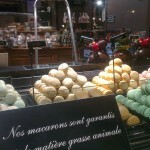 So when finding food, Paris has a range of choices across the range of taste and prices, so it was a matter of seeing what’s available (and not to expensive) and then trying it out. We believe a good breakfast is necessary to get you going, so once that is sorted, you can explore your options for the rest of the day. 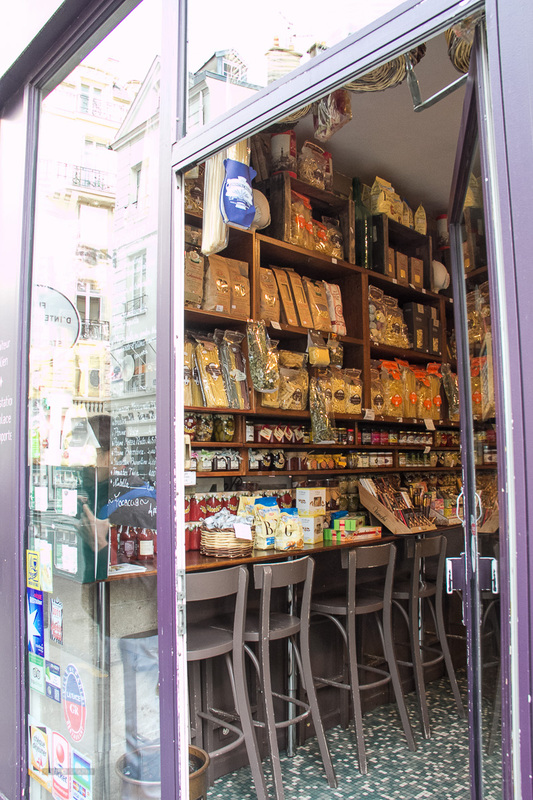 Whatever your start-up preference, we give you some options for finding food in Paris that won’t bust the budget. If you prefer to eat ‘at home’ because you’re staying in an apartment, there are lots of places you can buy reasonably priced food the night before. 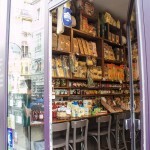 We picked up a good variety of yoghurt, cheese, coffee, wine and fruit at some of the small family run stores nearby and there are lovely specialty delicatessens and express versions of major chains including the Carrefour Express we found along Boulevard Saint-Germain. You can also check at the larger railway stations for supermarkets, we didn’t see any at the smaller stations. 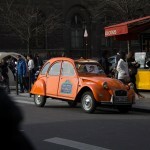 Bread and croissants are better purchased fresh at a bakery. The commercial varieties we found in the supermarket were very ordinary. We found a number of fruit stalls as we walked around, good for picking up a quick tasty snack. 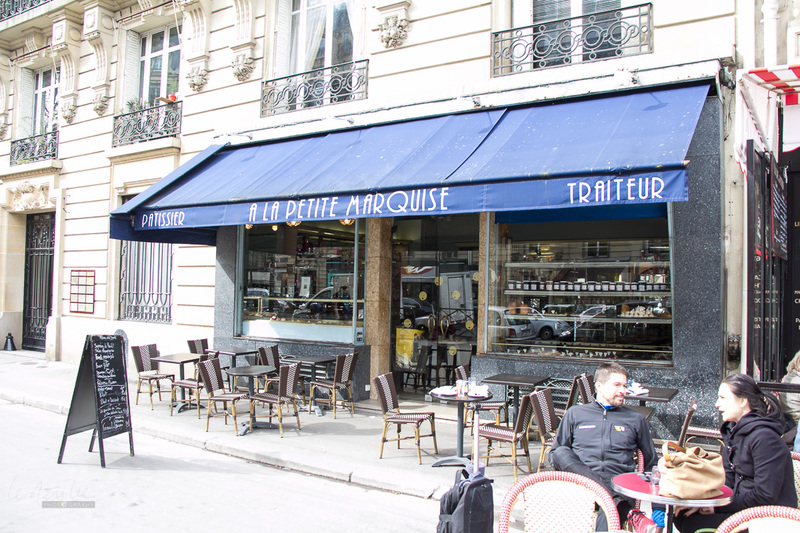 Try a lovely french breakfast at a neighbourhood Parisienne café. 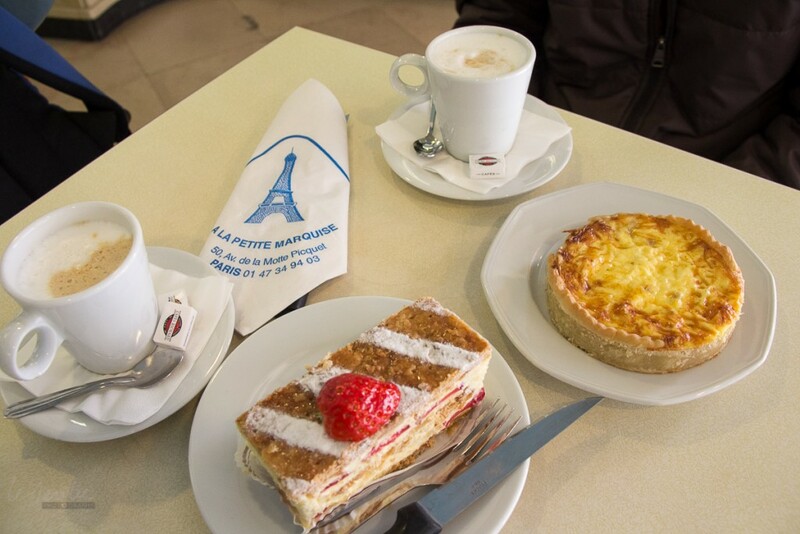 They serve breakfast lunch and dinner beautiful cakes & pastries – éclairs, tarts and cream /custard slices. 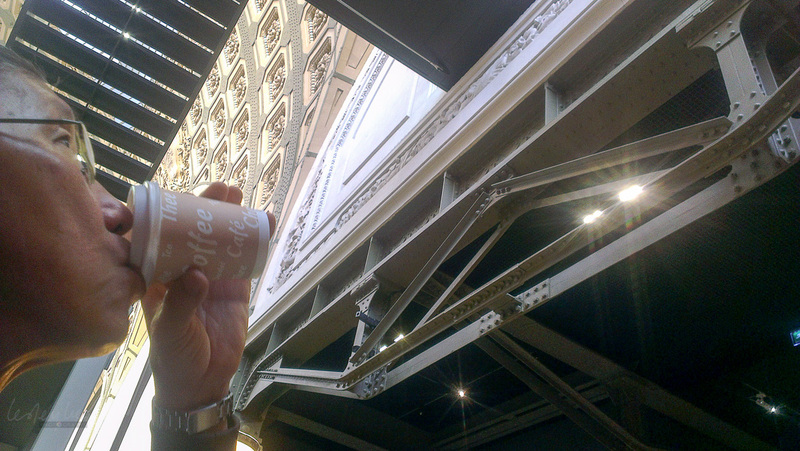 The coffee seems to come in one size, fairly small – no small/medium/large here. 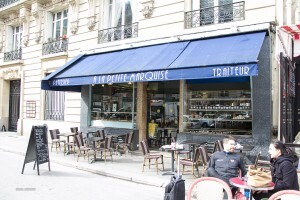 These are great for people watching, we were amused at the way the tables and chairs were arranged in many of the most up-market areas so you have the people facing out as they enjoy their croissants and coffee, watching life walking by. 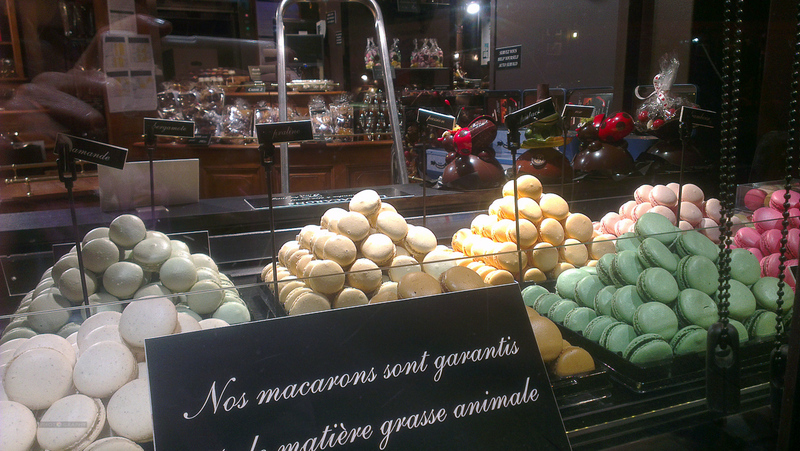 Stop at one of the many patissier you pass as you wander for delicious pastries and chocolates. You’ll know they’re good if the locals are also wandering in and chatting with the staff as they order. Our simple lunch of quiche, pasty and coffee was around €18. Having been to museums and galleries in different parts of the world, we were thinking there would be few options for cheap eats. 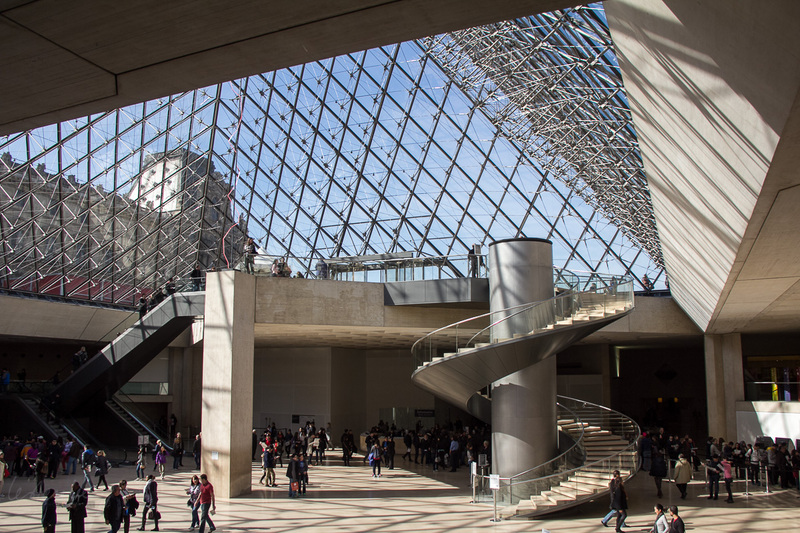 However, we were quite pleased to find that we were able to have a reasonably priced lunch of baguettes and coffee at the Musee d’Orsay which cost less than €18 and two coffees, a Parisienne salad and a cheese sandwich at The Louvre for just over €21. 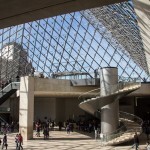 Both museums do also have more upmarket options if you want to give yourself a treat. 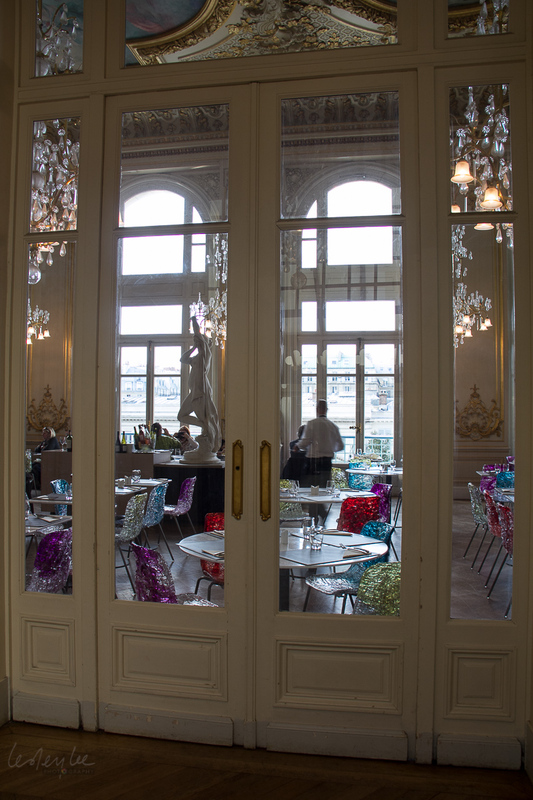 You’ll also enjoy a visual treat in the beautiful arty restaurants in the Musee d’Orssay. 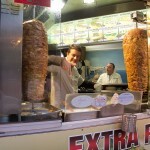 We found the street food to be variable in quality and most of the stalls we came across were in small side streets. 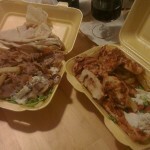 Baguettes, kebabs and pizza are easily available and not too expensive. 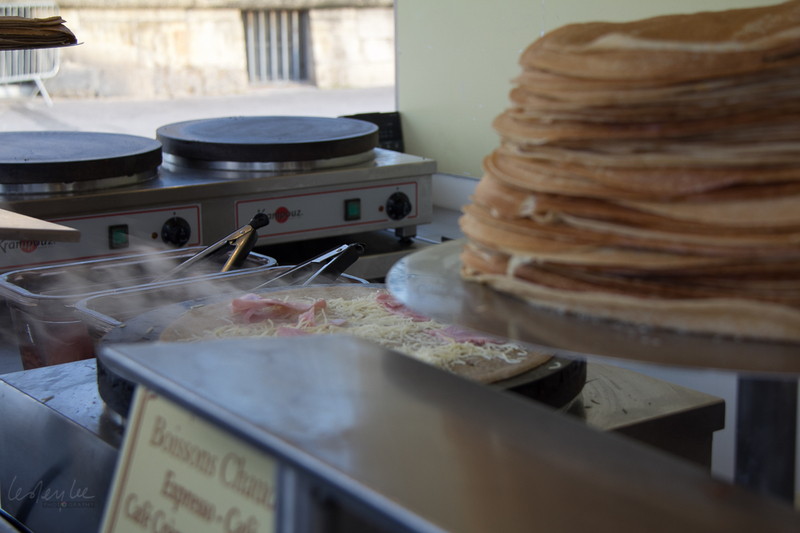 Crepes stands were plentiful and prices varied depending on location. Sweet and savoury fillings were available. The crepes in the Place de la Concorde were fairly average and cost between €3 and €5, depending on the filling. 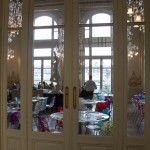 Sit in the nearby Jardin des Tuileries and watch the world go by as you eat. We found quite large filled baguettes along a side road from Rue Danton for upwards of €4.50. They filled our stomachs but were rather tough and chewy. 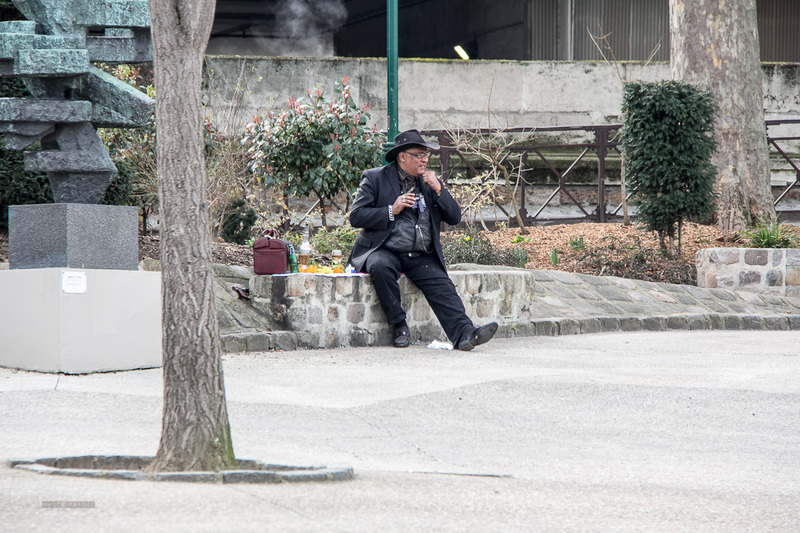 Once you’ve got what you want, there are plenty of parks where you can sit and eat – try the walkway along each side of the Seine. 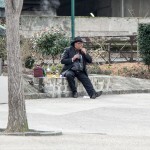 There are rubbish bins and there’s even a sculpture park on the Left Bank near the Notre Dame where you can feed your soul and stomach at the same time. 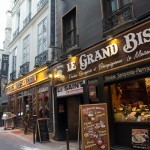 The Latin Quarter is full of restaurants and ‘hole in the wall’ eateries. 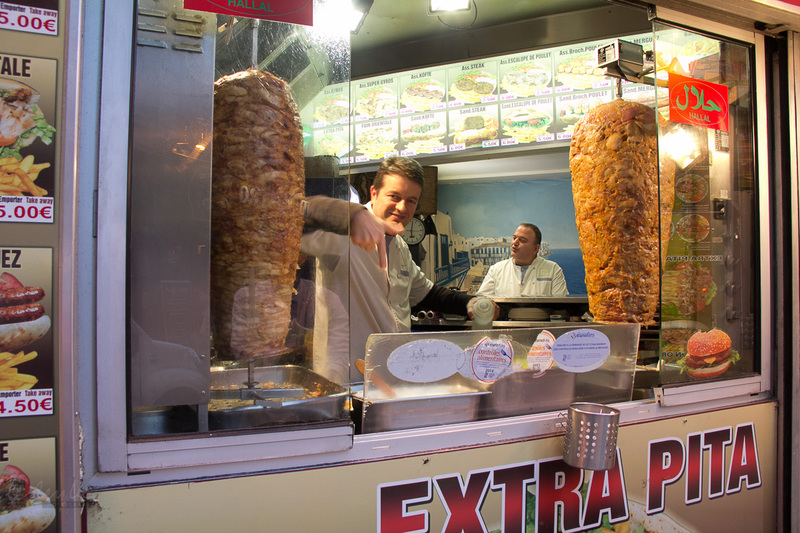 You can wander the narrow lanes and find all sorts of food on offer, from really pricey (but presumably delicious) macarons, to generous portions of kebabs which you can have with pita or fries for between €5 and €8. If you’re looking for Halal food, you’d be best to identify a few places like this as there’s not a lot on offer elsewhere. In the small restaurants dotted about, there are lots of €10 meals available, but add on wine, tips etc etc, will be much more. 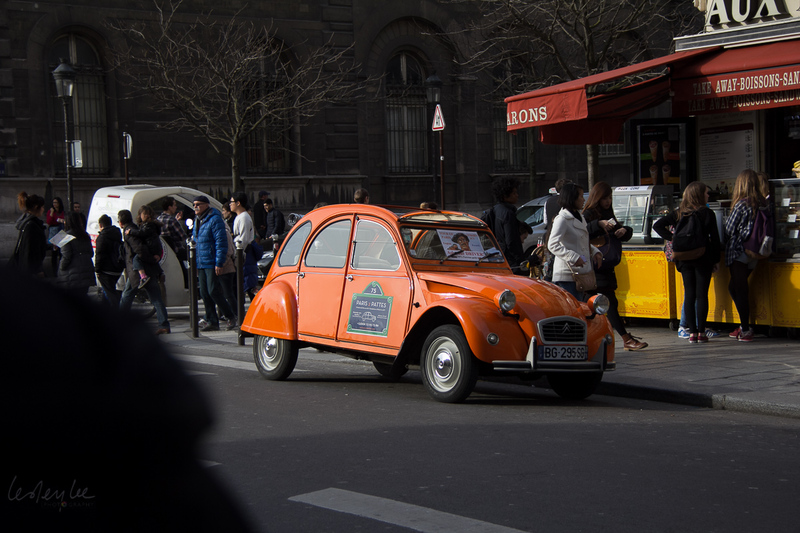 If you’re familiar with Lygon Street in Melbourne, you’ll feel right at home! 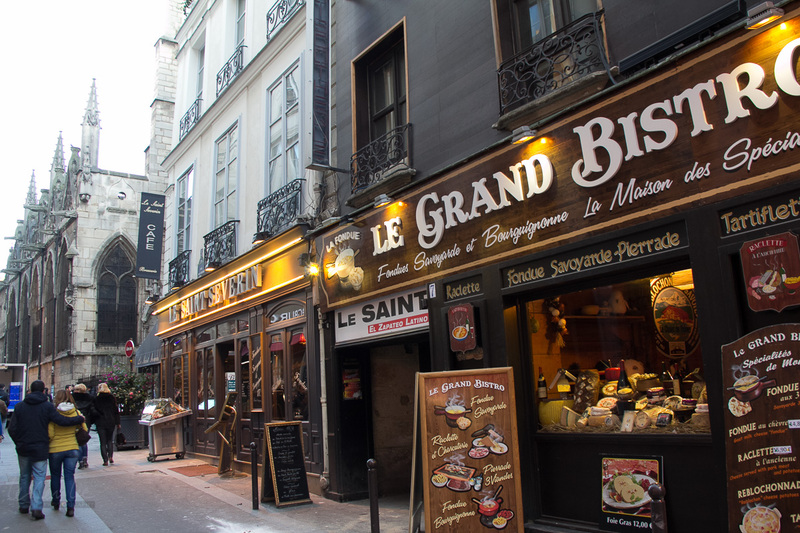 We saw lots of Italian food on offer, as well as Indian and fondue restaurants in the same small street in the Latin Quarter. 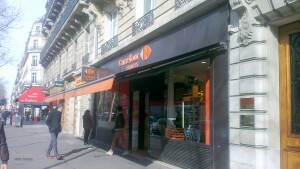 There’s also a pizzeria opposite the line where you queue to go up the tower of Notre Dame. We saw people nipping over to get a quick bite as they waited.